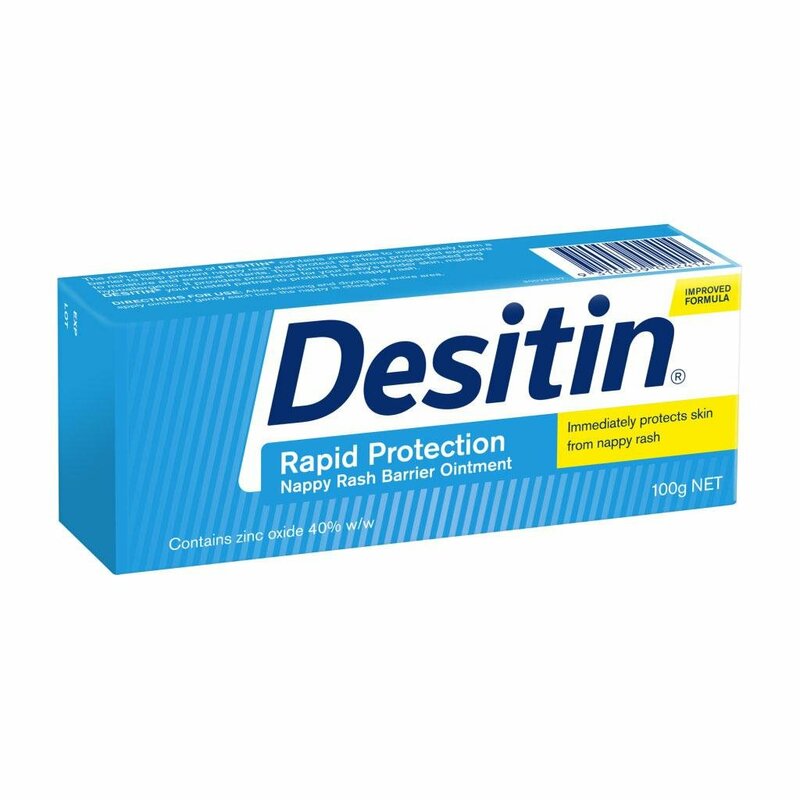 Desitin Rapid Relief Nappy Rash Ointment immediately forms a protective barrier to help prevent nappy rash. Using your fingers, apply a super-thick layer covering the entire nappy area as if you were frosting a cake — even to areas that may not look irritated, since irritation may not always be visible to the naked eye. Try to avoid touching irritated skin more often than necessary. Apply DESITIN Rapid Relief Nappy Rash Ointment liberally as often as necessary, with each nappy change, especially at bedtime or anytime when exposure to wet nappies may be prolonged. To prevent nappy rash: You may not always be able to protect your baby from nappy rash, but there are steps you can take that can help significantly reduce the occurrence. First, keep baby's skin clean and dry, and allow nappy area to dry before reapplying nappy. Protect your baby's tender skin with a nappy rash treatment like DESITIN® Rapid Relief Nappy Rash Ointment. To manage nappy rash: Three important steps can help bring nappy rash under control—gentle cleansing, ensuring the skin is dry, and protecting the skin from further irritation by applying a thick layer of DESITIN® Rapid Relief Nappy Rash Ointment at each nappy change to soothe and protect your baby's irritated skin. It worked well for my 9 months old son, his nappy rash is getting cured. The cream has a very strong smell. My baby doesn't tend to need nappy cream, but he didn't have any reaction to this one. It seemed to calm the area well. Nightlight is a place where you can chat to a qualified Tresillian Nurse, to get the support you need, to know that you are not alone. Online 5-11pm AEST weekdays (excluding public holidays. ).